It’s that time of year – you’re racking your brain to find something nice that your giftee doesn’t already have. 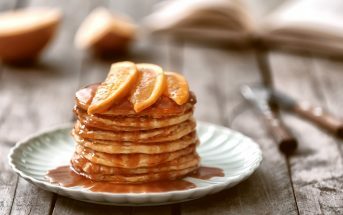 Men or women, co-worker or companion, friend or relative, most of us have a love for the kitchen, particularly if we have a special diet need (read: we cook a lot). 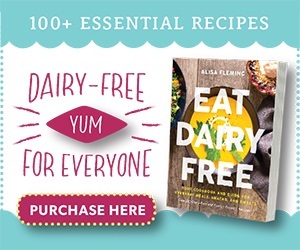 Buying pre-made food items can be risky business (is it gluten-free? 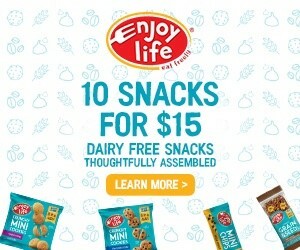 allergen-safe? kosher for Hanukkah? Oh wait, they’re vegan! 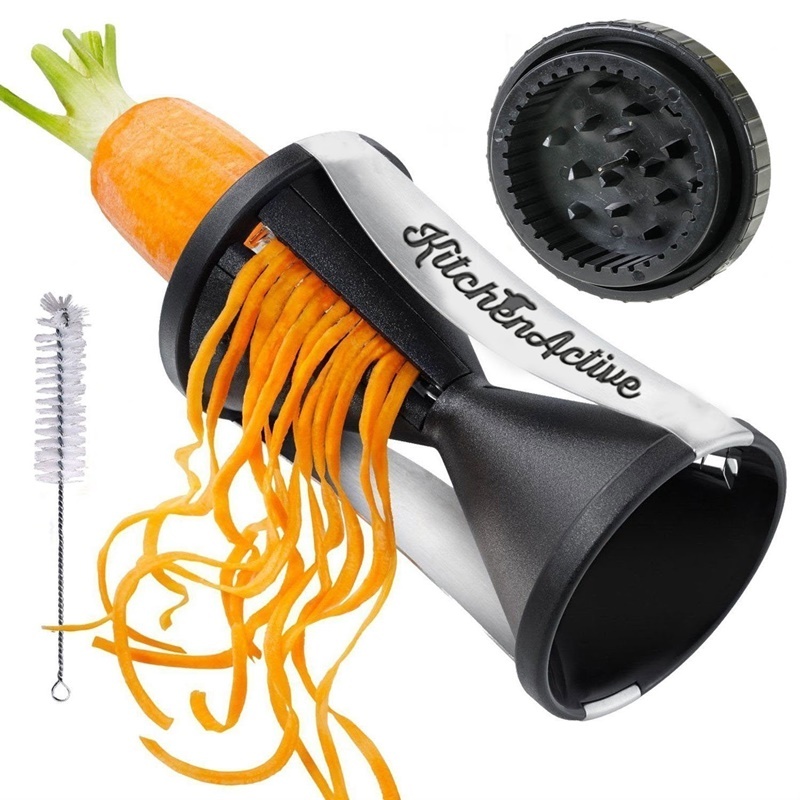 ), but the awesome kitchen gifts below can be enjoyed by almost all. Some, as noted, are ones I own and adore, others are high on my wish list, and all are definitely hot items this year that not everyone has yet. 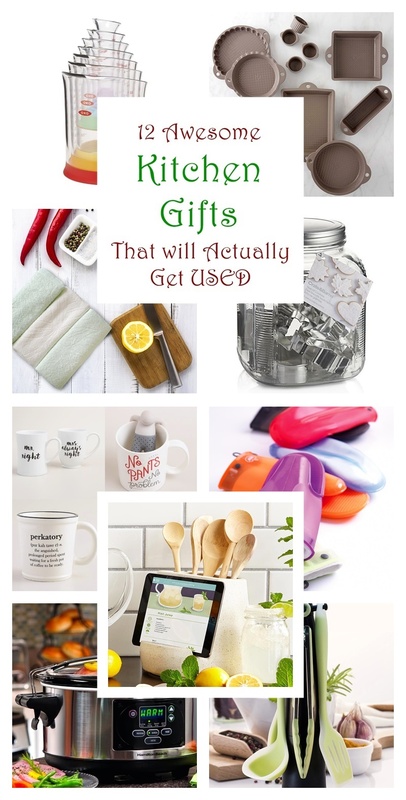 And unlike the overly trendy, oddball gift guides in some magazines this year (*cough* Real Simple), these kitchen gifts not only fit within most budgets (see the kitchen gifts compact little pricing scale below), and have great curb appeal, they are also very useful. Cooking may be an art, but baking is definitely a science. And precise people like me will geek out over this lab meets kitchen measuring set. 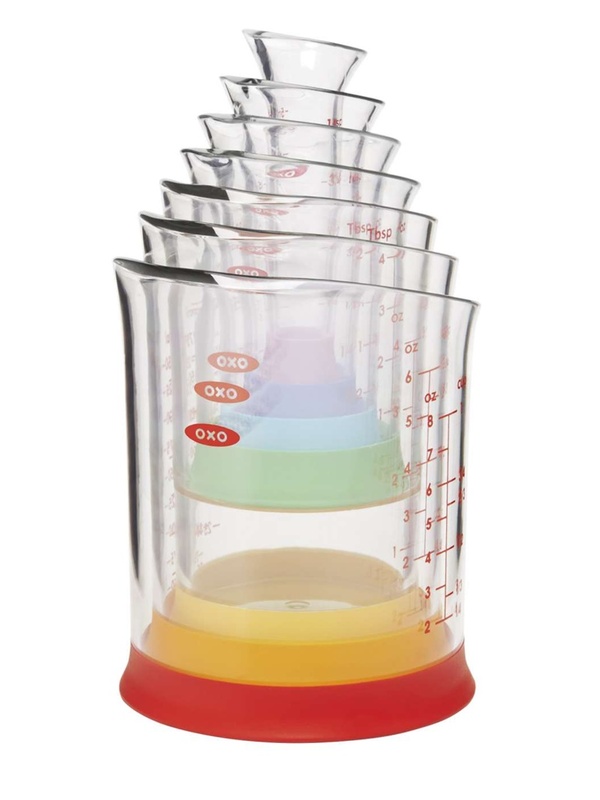 The beakers stack neatly for storage but have standalone footing, are insanely cute, and offer the perfect pour whether you’re looking for Imperial or metric (they show cups, ounces and milliliters!). 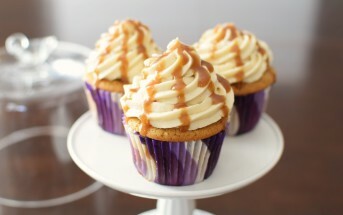 And yes, they are BPA-free and dishwasher-safe. These dazzling made in France dishes have achieved true eco-excellence with environmentally friendly materials (all natural – even the enamel surface – with no heavy metals, toxins or PTFE), and qualities that include thermal shock resistance, non-stick surface, attractive matte finish, non-slip base, plus the ability to be used in the microwave, freezer and dishwasher! 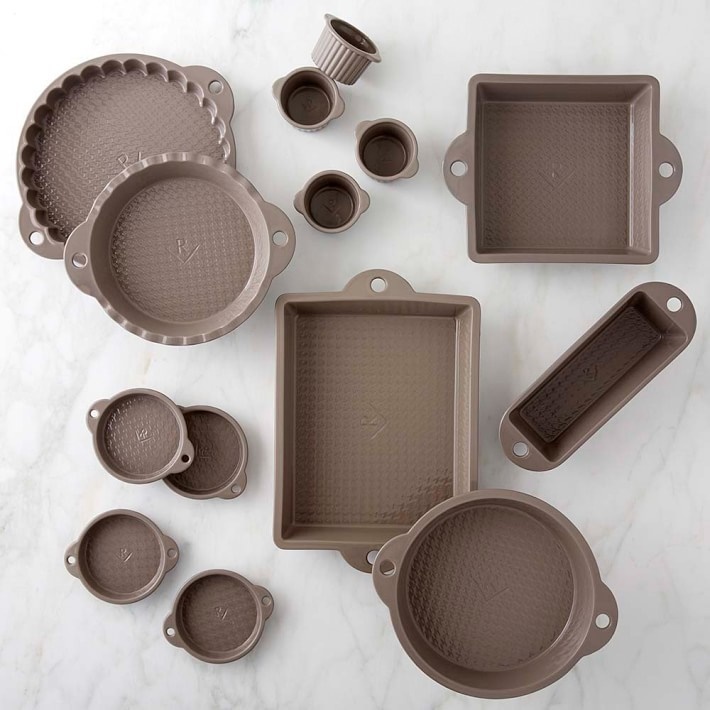 And I can personally vouch that this is one of the most amazing kitchen gifts – they work like a dream, are stunning, and so easy to clean (see my Pumpkin Apple Pie Cake recipe for a glimpse of this beautiful bakeware in action). And what you can’t tell from the picture is that the Revol Les Naturales Bakeware arrives packaged individually in lovely boxes. You may still want to wrap them, but even a single item looks impressive on its own, so you can buy just one or splurge on the whole set for a very lucky loved one. Sesame Gray is the color pictured, but these are all available in Cream, too. 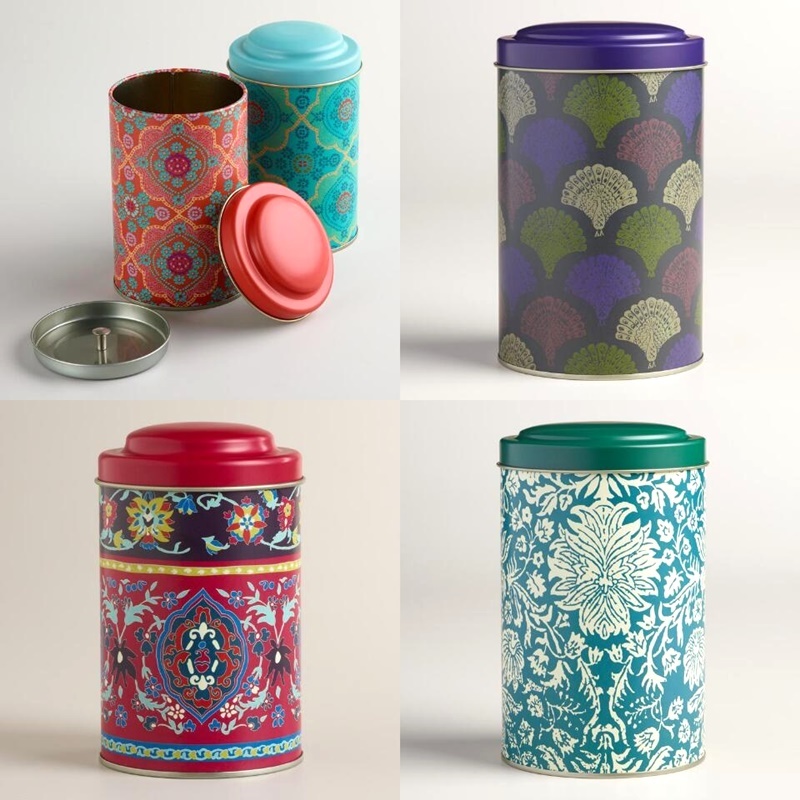 These vibrant little canisters not only add a pop of color to my counter-top, the airtight double lid also makes them insanely practical for storing all types of food items. I have one always filled with organic popcorn while the others may house dried fruit (yes, it stays fresh! ), sugar, and maybe one of these days, I’ll even use them to store tea. They come in two sizes and are so inexpensive, you can buy an assorted “set”. Note that you have to buy packs of two or four online, but they have more designs and you can buy them individually in store. These cool gloves solve so many problems that I’m not sure where to begin. The outer silicone is grippy, easy to wash, and doesn’t cause heat transfer when wet; the inner lining is soft terry which can be easily removed and washed as needed; and the sizing is a perfect fit for daintier hands (though they seem to fit up to a men’s medium) – a true find for those of us who’s digits swim in the standard selections. And of course they come in a nice assortment of simple colors to match most kitchens. This stunning stoneware piece does double duty – storing cooking utensils (wooden spoons not included) while snuggly surrounding a tablet. 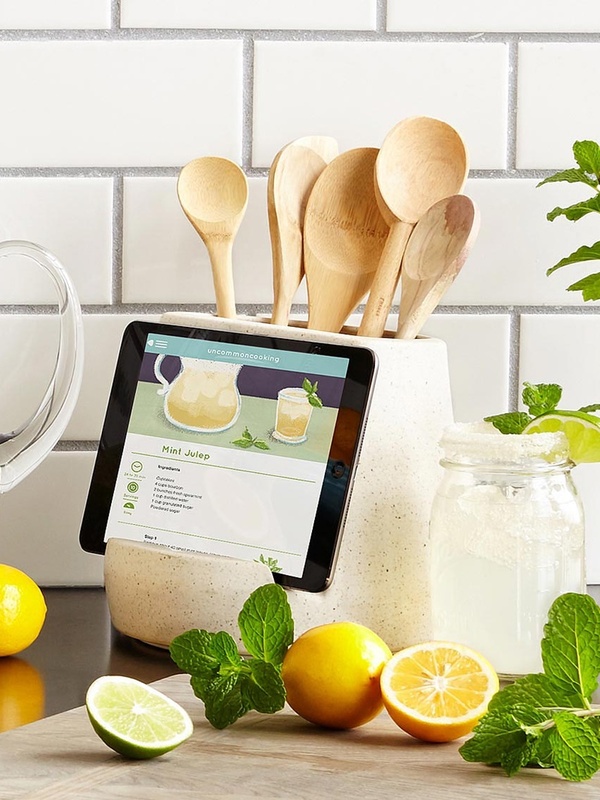 Your favorite cook will love the ability to interact with recipes and watch videos while working away and the neutral design attractively fits in most kitchens, big or small. If your giftee still loves old-school cookbooks, too, and has more of a spacious “chef’s” kitchen, then you may want to consider this gorgeous Reclaimed Wood Cookbook Stand, which can go high or low tech. Yes, crockpots have been around for ages, but there’s an important reason why – they’re really, really useful! And even this tried and true small appliance is always improving, so why not gift that family of six a more modern version of this top convenience. I requested a recommendation from the famous Crockpot Lady, and she named the Hamilton Beach Set ‘N Forget and the new CrockPot Countdown as top picks. For smaller households, manual slow cookers are usually the only option, but the Cuisinart 3.5-Quart Programmable Slow Cooker is a giftable step up. Football fans in the bunch? 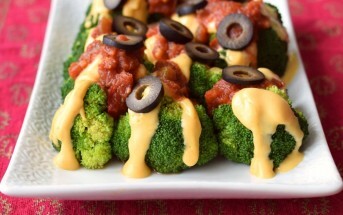 They’d probably be willing to forgo the high-tech programming for an NFL Cook and Carry Crock-Pot (all the favorite teams to choose from + a mini Crock-pot option) – perfect for tailgating or hosting big game bashes. Whether they love coffee, tea or hot chocolate, I’m certain at least one of these fun mugs will fit their personality. From top left in the picture below: a) I’ve seen this his and hers theme before, but usually with a wedding angle. These have everyday appeal and I love the fun masculine and feminine shapes. b) I want this mug! It would be impossible not to smile every morning when brewing loose tea in this whimsical pair. c) Who doesn’t love astrology? These offer a touch of personalization and feel good fun. d) This one immediately made me think of my coffee-drinking brother-in-law, living with my sister and three teenage girls! And since a new Nespresso maker may be out of budget, he might actually get this mug from us for Christmas. This revolving holder fits compactly on the counter for convenience coupled with space-saving style and it DOES come with the wonderful silicone utensils that you see. Available in Apple Green (pictured) and Midnight Blue, the 6-piece set is heat-resistant, sturdy but flexible, gentle on non-stick surfaces, BPA-free, latex-free, and it receives rave reviews. But what I love most is that unlike so many nice utensil sets, this one includes tongs. Once they discover the usefulness of this simple clamp, it will become the most loved tool in their kitchen. Let’s face it, being on trend when gifting can be essential with some stylish foodies. But an expensive of-the-minute small appliance that takes up cupboard and counter space may offer fleeting excitement before ending up in a storage unit. Which is why I really like the idea of a handheld spiralizer. Sarah recently got the Kitchen Active one and loves it. 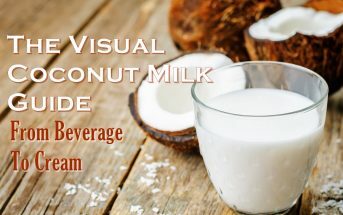 It was rated as a Dr. Oz “best new product”, is BPA-free, dishwasher-safe, and lightweight, and comes with everything you need to get started. When I spotted this find for the fall baking issue of Allergic Living, my boss, the Editor-in-Chief wanted to run to the store and pick one up ASAP! 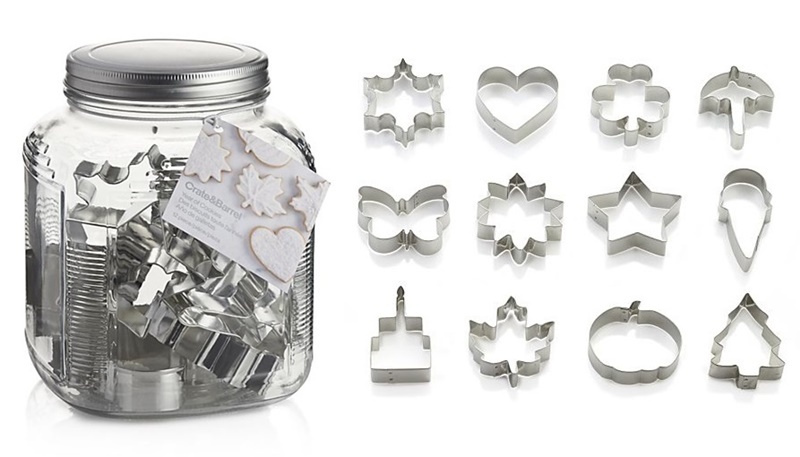 The packaging is perfect with a pretty, multi-purpose glass jar, and the cutters within provide the perfect 12-piece set to carry any cookie-loving household through the holidays, bake sales, birthday parties, and more. This elegant serving piece will be lovingly received and quickly put to the test by your favorite hostess. 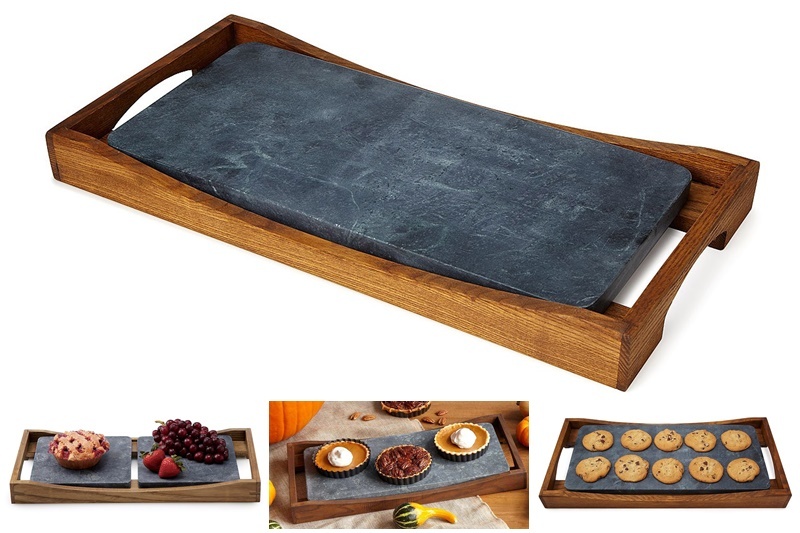 It contains an eco-friendly soapstone platter with insane thermal properties – the slab goes straight from the oven to table to refrigerator or freezer and is even dishwasher safe. Food bloggers will also love its rugged good looks for food photography. The wooden caddy is a bonus that provides easy, attractive transport. Uncommon Goods offers the large version you see, plus one with two soapstone slabs, and I believe the Sparq Oven to Table Platter is identical. This sustainably-focused company understands soft and sensitive, they’re core product line of textiles is for babies. 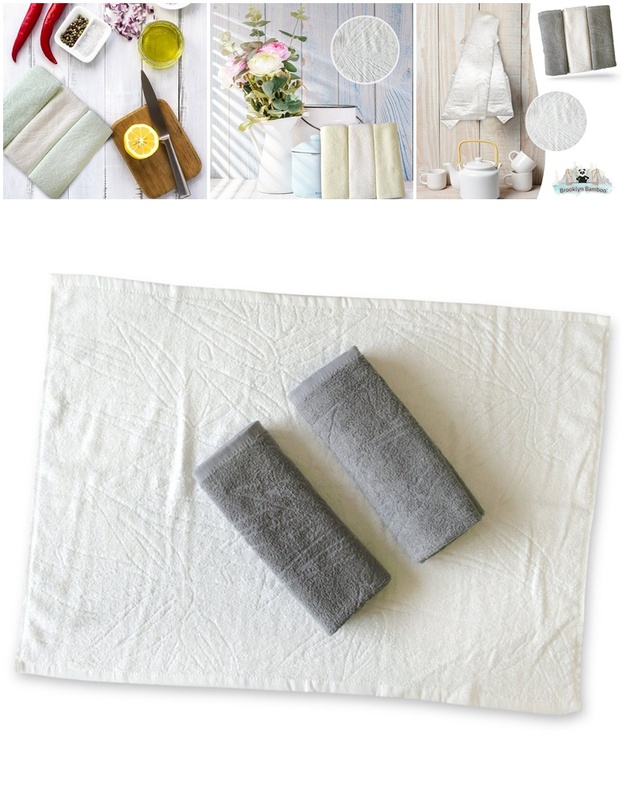 Fortunately, their kitchen towels are made with the same luxurious, hypoallergenic touch and are perfectly gift-worthy for those of us who simply ooh and ahh at super-soft linens rather than splurging with those few extra dollars. The large versatile towels come in a 3-pack with earthy color options, and offer super-absorbent, machine washable capabilities. Note that despite the lovely pictures, these don’t arrive in decorative packaging. Plan ahead and tie them in eco-ribbon, pile them into a cute caddy or simply roll and arrange in a nice gift box. What are your favorite Kitchen Gifts? Comment to Share! Note that there are just a few Amazon links in this post (most are non-affiliated) and this isn’t sponsored in any way. This is my honest-to-goodness list of top picks that I’ll be sharing with my husband, too! Ah! I am going to purchase at least 3 of the items you listed here! I love it! Great finds. 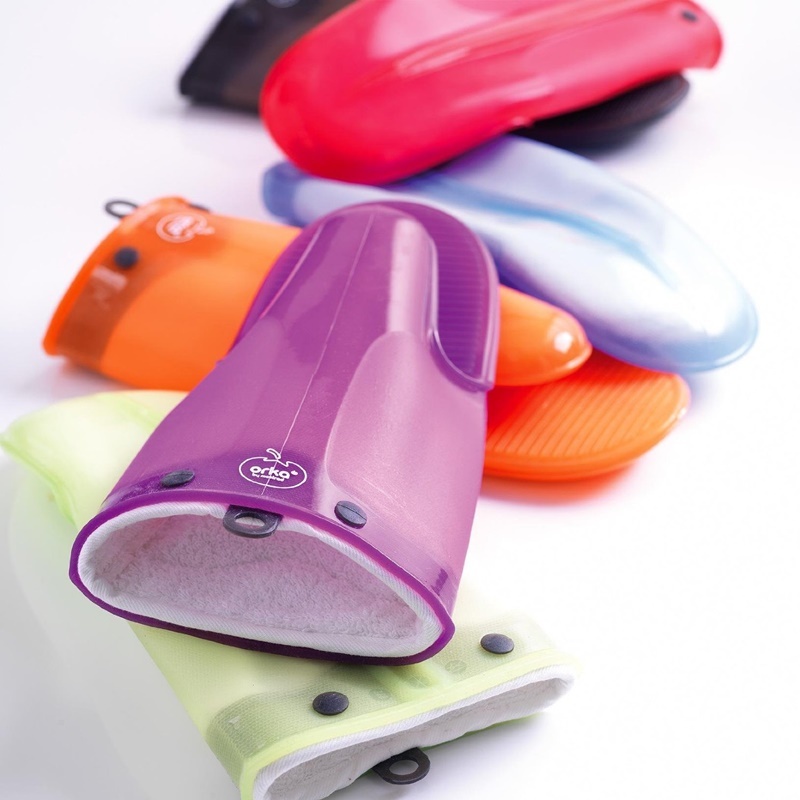 The silicon utensils are awesome, the mugs… I need the No Pants, No Problem one. lol And the Oven-to-Table baking stone is so pretty and useful. Like I said, this list is great and I’m definitely making notes on who gets what! Haha, I’m glad you like these Lori! 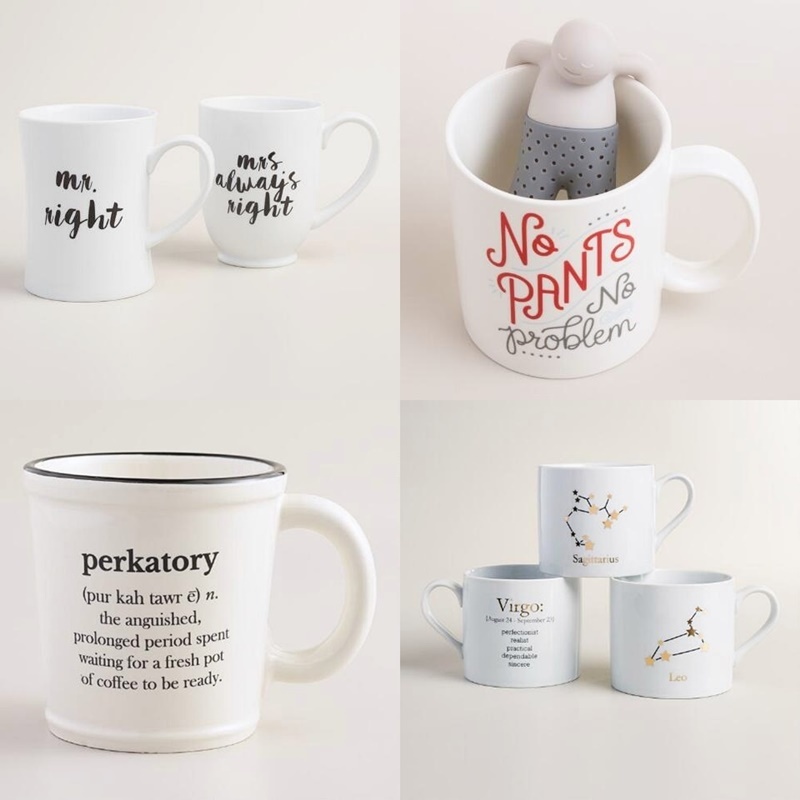 I SO want to get that No Pants mug. I actually looked for it in store last week with no luck. May have to order it online! I have the Hamilton Beach crockpot and love it. We use it at least once a week. I love this list!! So many great and unique products here and I definitely need ideas. I love my Orka oven mitt but I think that I want the tablet holder! Alright, I am LOVING the Geyman Kitchen Utensil and Tablet Holder!! So useful but pretty and elegant at the same time! I found myself saying, “I want that, no that, no THAT!” Seriously that serving platter – amazing. 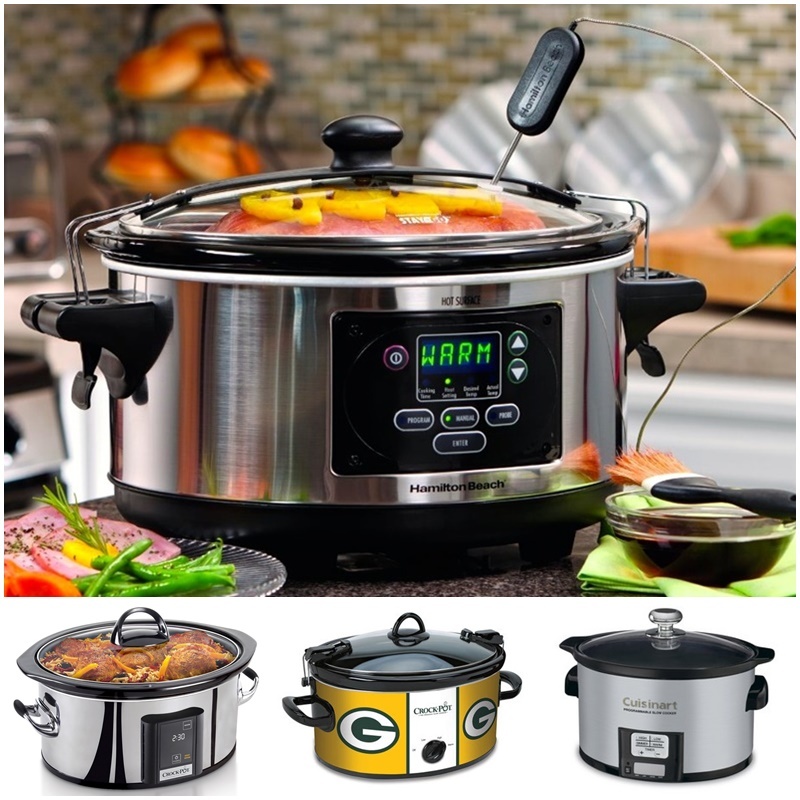 And I love that there is a Green Bay Packer crockpot pictured – huge Pack fan right here!! I was expecting to see the same typical gadgets but you have some really great options I hadn’t seen before! I love my spiralizer. I also can’t live without my mandoline slicer! I’ve been doing the product section for a magazine (those product picks at the beginning of a magazine) for a few years, so I’ve become addicted to digging for the most fun stuff that I actually want myself. But, I hadn’t thought about a good mandolin – popular! Programmable small crockpot!?!? I’m getting that!! Yes! But did you see … I put the Packers crock pot pic just for you. Or should it be the Eagles now? best gift for a foodie, in my opinion? a good knife! I love some of the ideas here – those tea tins are great, and the mugs are too! I want them all! But if I could only have one I need that oven to table platter. It’s definitely stunning and great for a hostess like you Kathy! This is a dangerous time of the year for me. I love to shop especially for kitchen items. I love to discover the undiscovered. I could have really used the Orka Oven Mitt when I burned my hand on the cast iron skillet. Might just have to add that to my wish list. I actually got my first Orka oven mitt as a promo item at a tradeshow. Loved it so much, I recently bought a second!